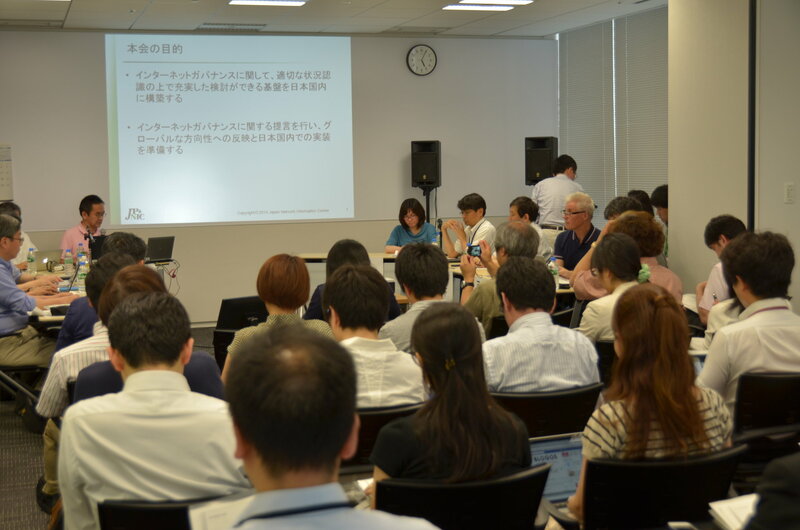 Internet Governance Conference Japan (IGCJ for short) has launched in June 2014 for discussions in Japan on various issues on the Internet Governance. JPNIC is serving as its Secretariat. To achieve these objectives, the conference will be engaged in activities as below. Meetings basically will be arranged every two months. Anyone who supports the intention as described above is free to participate in the meetings. At the first step, please join our mailing list (in Japanese only). Besides, we have a Facebook page with up to date information on IGCJ. If the page interests you, you can click 'Like' to add IGCJ page to your News Feed. Also, we tweet on Twitter. This team was formed for brushing up the document "Concept for security" originally drafted by Hiroshi Esaki.